Thomas Crabtree was the first Wesham finisher out of three at the Mother’s Day 10k in Lancaster finishing 7th in 37:17. Antionette Holton completed the course along the Lune riverfront as 67th woman and 143rd in 56:40. Nicola Hill was 114th woman and 199th in 63:27. With 257 finishers there was a high proportion of ladies in the race. 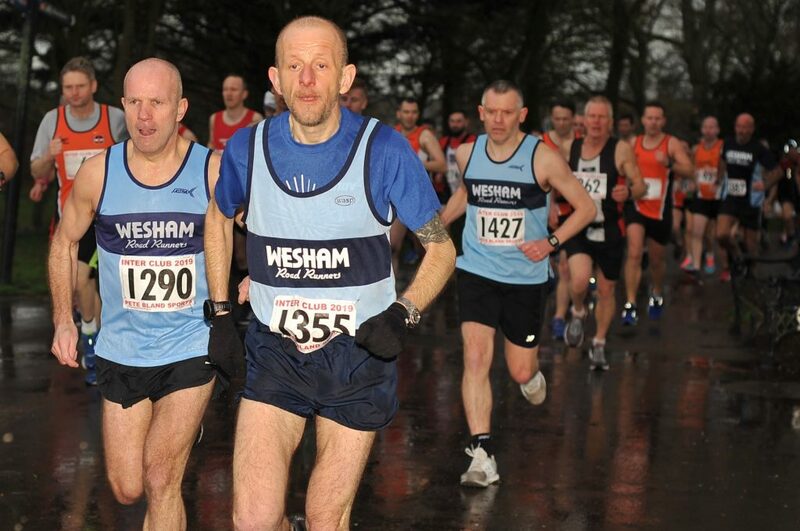 Wesham runners were out far and wide as usual in the Saturday morning parkruns with generally chilly but good conditions just prior to the more unsettled weather. At Lytham Hall Arran Galvin produced 19:15 for the 2-lap 5km multi-terrain for an M35 age graded performance of 69.87%. Carl Groome returned from injury with an excellent 19:55 and an M50 age grade of 74.06%, with the two clocking the 5th and 6th fastest times of the day. Lee Nixon scored another new personal best with 20:22 for M35 66.04% as he wracks up his performance. Stuart Topping likewise continues his improvement with 21:16 for M45 68.26%, and another Stuart (Clayton) ran 22:14 for an M50 age grade of 66.87%. Sharon Cooper as volunteer coordinator this week also clocked 23:53 for W45 66:50. Graham Cunliffe ran a superb 24:23 with his best time since October for an M60 grade of 66.92%. Andrew Moore scored an M55 grade 58.33% with his time of 26:48, and Sharlan Butcher ran 27:38 for W45 57.48%. Keith Wilding recorded 28:29 just short of his best so far with M60 56.82%, and Julie Topping ran 32:31 for W45 50.33%. At Woodhouse Moor in Headingley in Leeds Alice Deacon clocked 24:19 for an age grade of 60.86%, and in south Manchester’s Platts Field Tracey Hulme returned 24:04 for a good run with an W55 75.21% grade. In Preston’s Avenham Park Steve Abbott ran 21:13 for M40 65.28%; David Taylor an easy 23:35 for a grade of 55.12%; Jenn Thompson clocked 28:12 with W40 54.55%: and Shona Taylor ran 26:30 for W55 67.42%. second week at the Riverside run on the banks of the Wear at Chester-l-Street Emma Brook ran 29:52 with W35 50.22%, and at Fell Foot in the South Lakes James Mulvany coaxed his son round to 25:45 with an M40 53.40%. Clockwise round Leeds from Woodhouse Moor the parkrun Tourists the Gores were back at Bramley Park, with Vicky running 26:51 for W40 58.16%. Steven was just behind in support with 26:52 (M35 49.69%), and Megan had a JW11 performance of 43.77% with a time of 37:12. Back home in Stanley Park Steve Swarbrick had the fastest time of the day with 17:14 and this week’s highest age grade for Wesham with M45 82.88% in Blackpool. Dave Marsland clocked a good 22:42 for M60 72.54%, and Rob Wallace ran 22:53 with a percentage of 56.37%. Finlay McCalman ran 26:28 for M55 58.06% in his new age category. Just one Wesham runner along the Fleetwood Promenade this week and that was Mark Renshall finishing with 33:45 for M45 42.02% pace-making a small group.